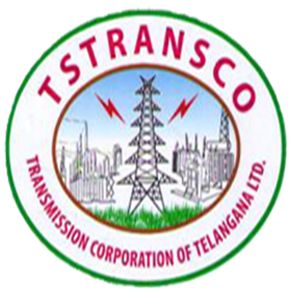 TS Transco JAO Hall Ticket 2018: Telangana Transco Junior Accounts Officer Examination is scheduled on 30th September, 2018. For the post of JAO thousands of aspirants from Telangana are competing. The organization received a massive number of applications for the post of JAO. Almost all the applicants are expected to compete for the test on 30th September. To attend the test aspirants must download TSTRANSCO Junior Personal Officer admit card from the official portal, tstransco.cgg.gov.in. The hall ticket will be accessible from 24th September, as per the organization’s announcement. Hence the applicants can hurry up to download the hall ticket and keep it safe to carry to the examination. After verification of the hall ticket only the examination officers allow the candidate to appear the test. Hence the applicants who are competing for Telangana JAO examination are hereby informed to carry the admit cards without fail. Transmission Corporation of Telangana Limited, Vidyut Soudha, Hyderabad has recently released the notification for 44 Junior Accounts Officer (JAO) posts. Many of the hopefuls seeking to get state government jobs in Telangana have applied for the JAO posts during the application dates. The TSTRANSCO is going to select the suitable aspirants through the written test and interview rounds. The written test is going to be conducted on 30th September. Aspirants applied for JAO jobs can get ready to attend the test by downloading the admit cards from the TSTRANSCO official portal. The downloading process, guidelines for the examination and other details were listed in this article. Aspirants waiting to download TSTRANSCO JAO hall Ticket can get it from 24th September from the official portal, tstransco.cgg.gov.in. Candidates have to carry one more identity card like Aadhar Card/PAN Card or any other valid identity proof along with hall ticket. Candidate’s identity will be checked at the time of verification by the examination officers. Applicants can download the hall ticket from the TS TRANSCO Official website mentioned here. After downloading, observe the details of examination center, date, and timings of the examination. Candidate’s name, register number, father’s name, signature, scanned photograph and other details will also be mentioned by the TRANSCO. So, check the information thoroughly once after downloading the hall ticket and report through TRANSCO helpline numbers, mail id for any sort of spelling corrections. Visit the TS TRANSCO portal for more information. Go to the latest notifications section of TS TRANSCO official website. Search an appropriate link of TS TRANSCO JAO admit card 2018. Input some required details like your roll number, name etc. Tap on the ‘Download’ button.